A kiosk which dispenses free condoms and Chlamydia testing kits is to be installed at a shopping centre in Hull. The machine will be in the St Stephen's mall in Ferensway and will work by scanning registered users fingerprints. Once they are signed up, people can use the booth, which also dishes out sexual health advice, three times a week. A spokeswoman for the City Health Care Partnership (CHCP) said the kiosk would be placed in a "discreet" area of the shopping centre. A registration event is to be held at St Stephen's from Tuesday until Thursday. 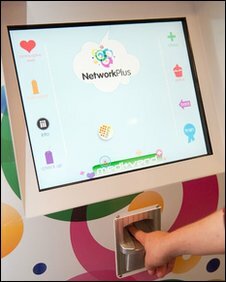 Jane Wilson, Head of Service at the CHCP, said: "There are many benefits to using these kiosks. "People can get quick and confidential access to condoms and Chlamydia testing kits, this avoids queuing at clinics, waiting for appointments and for those in education or full-time work they will be able to access the kiosks outside office hours."